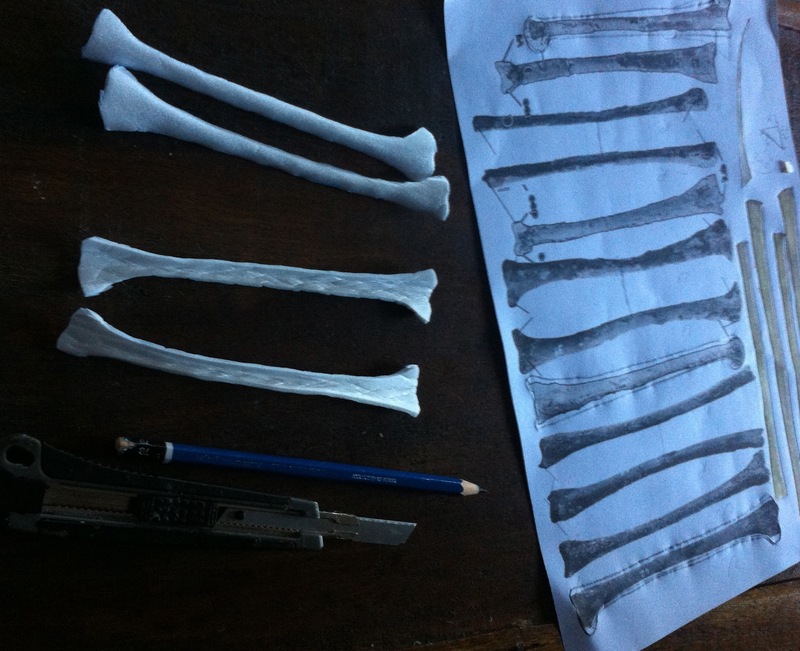 I should have finished the head and the spine by now, but I am waiting to get better sources and images, so I decided to change my schedule and work on the long bones. 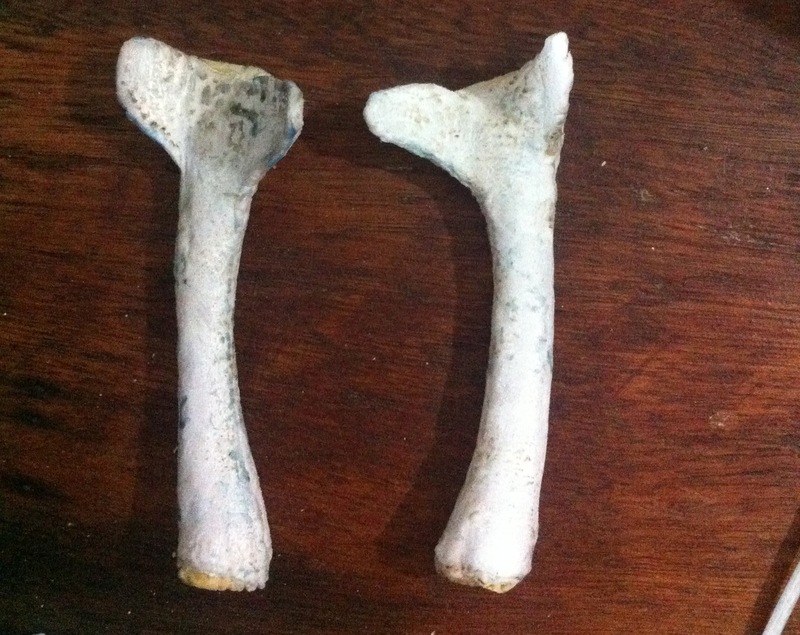 This post is about the arm bones: the humerus and the radius-ulna pair. I am using as sources the images from SMNK PAL 1137 (which unfortunately are in low resolution and black and white). 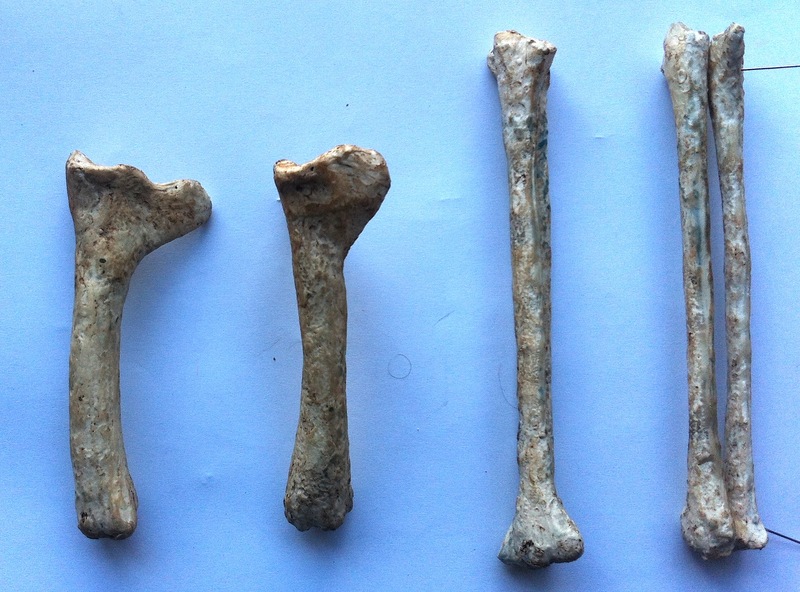 For the humerus I also had four colour views from IMCF 1061. I am using the dimensions which the paleontologist Brian Andres sent me, which I increased by 25% (since this Tapejara has a 2m wingspan). 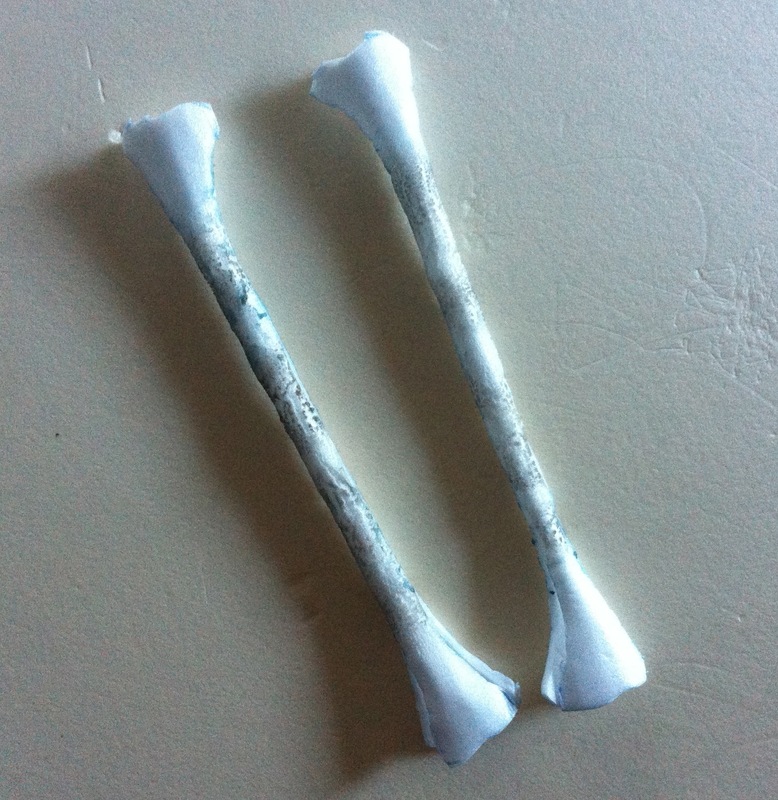 I made each bone from two halves of 2mm foam sheets. 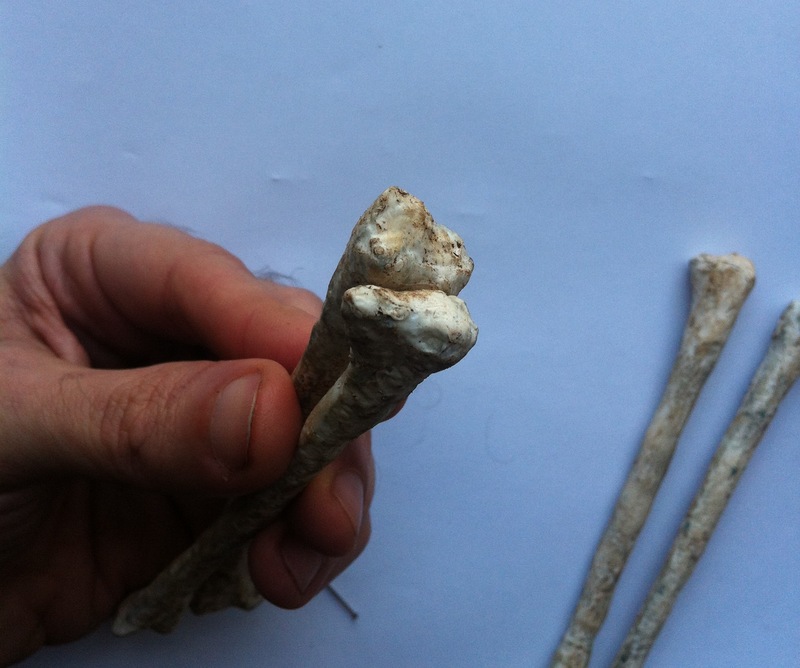 Since the shafts of the humerus, radius and ulna have a round section (in contrast to the wing bones which are somewhat flat), I drew the parts about 30% wider in that part, and left a bit extra at the ends to allow cutting and reshaping. 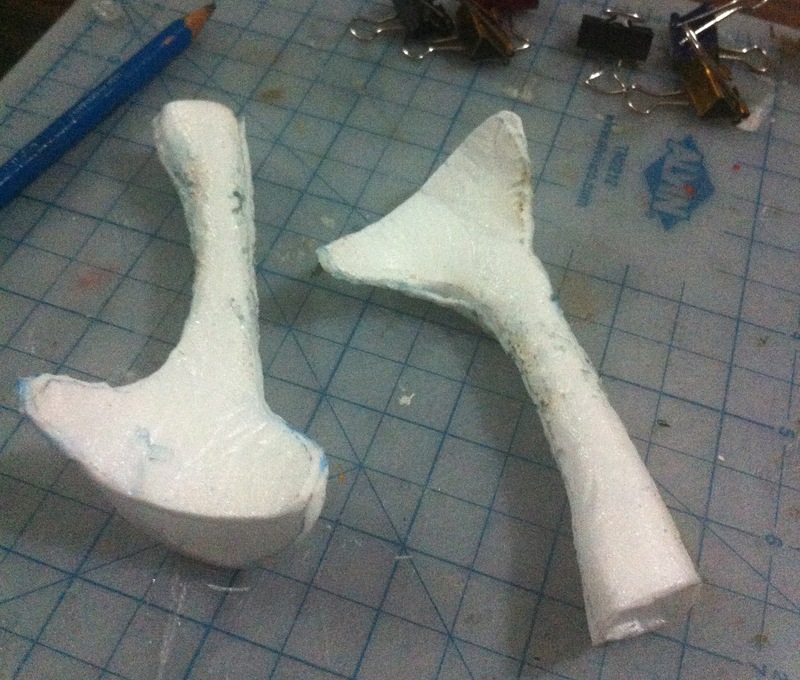 After cutting, I shaped the foam and glued the two halves in place. This is a view of one of the ends. 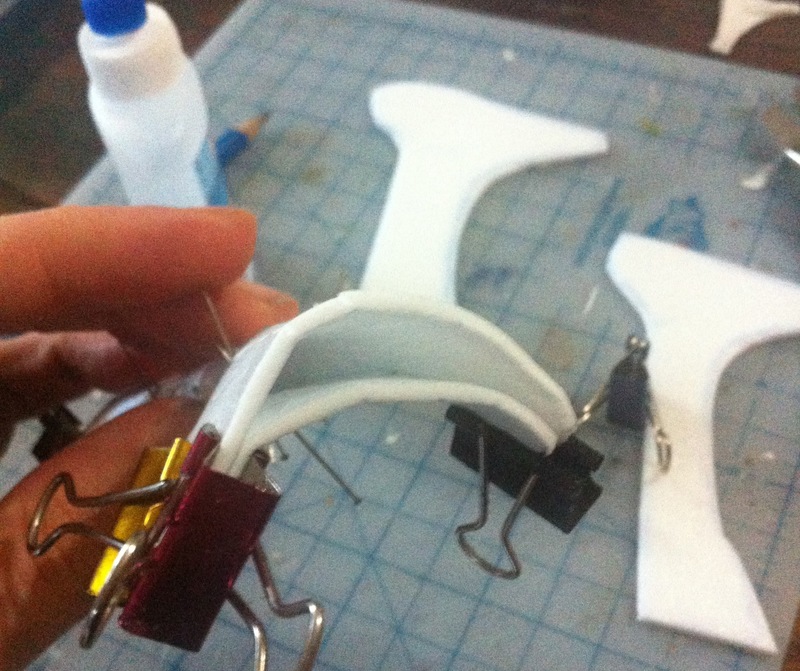 After I did that with both humeri, I reshaped and lightly applied some fire to trim the edges. 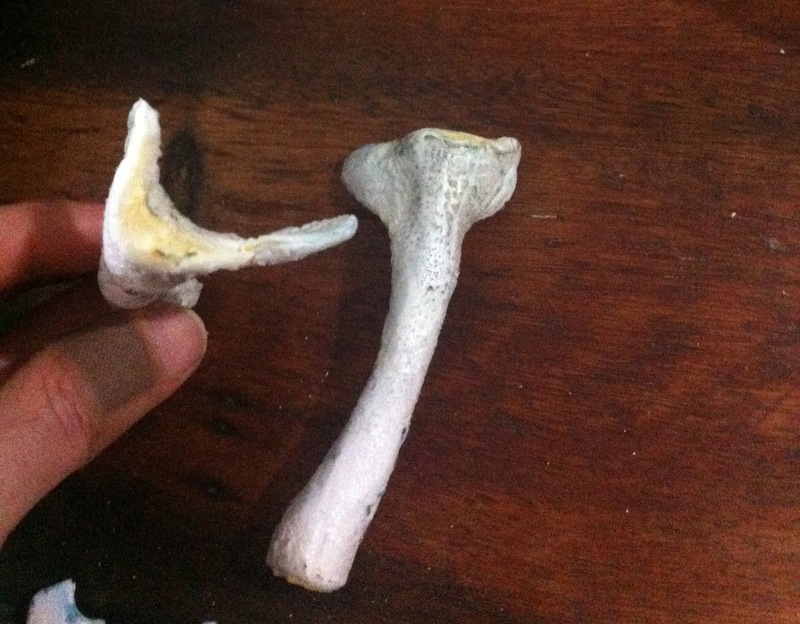 Herre are the two humeri compared to a humerus from Tupuxuara leonardii. 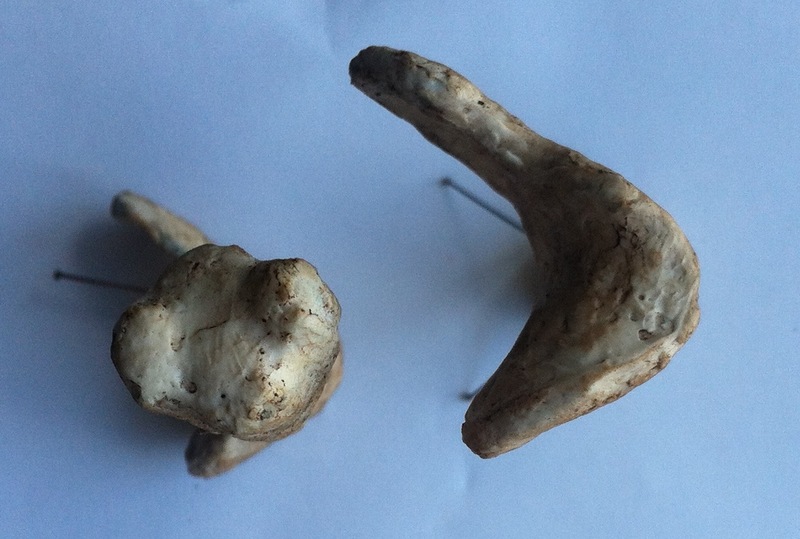 In the picture above, I just filled in the bone ends with thicker foam, which allows some sculpting. After drying I then gave it some more treatment with fire. This is the final result so far. I will further improve this after adding resin and coffee stains. 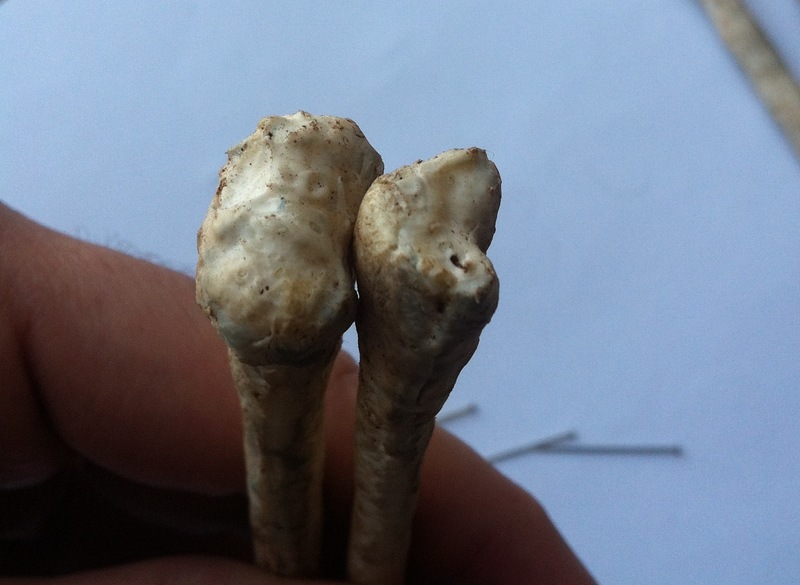 This is the humerus after resin and stains. it still needs some sanding and trimming. 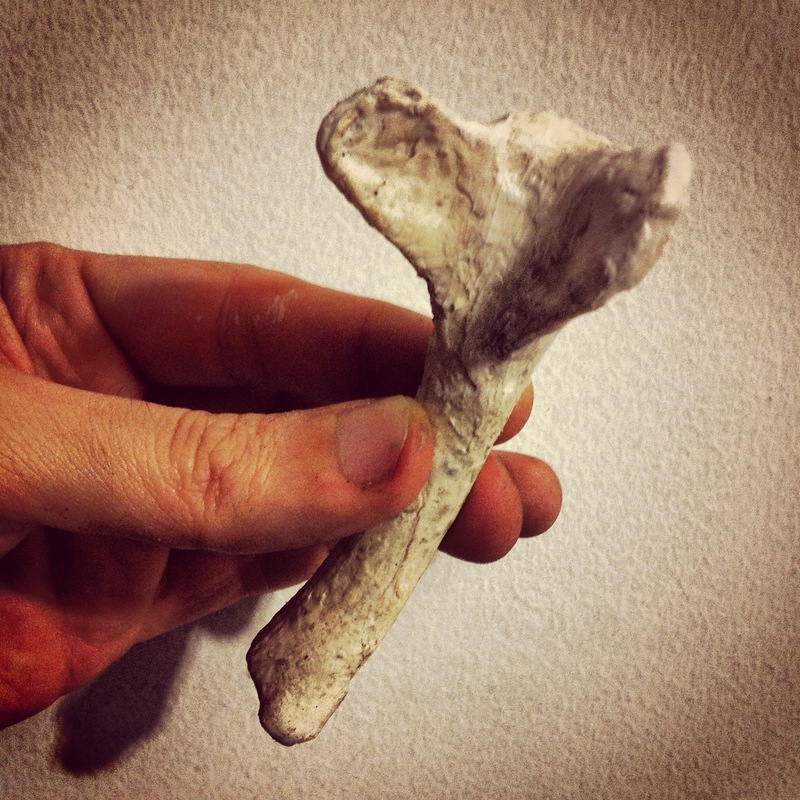 I based the ulnae and radii on SMNK PAL 1137. 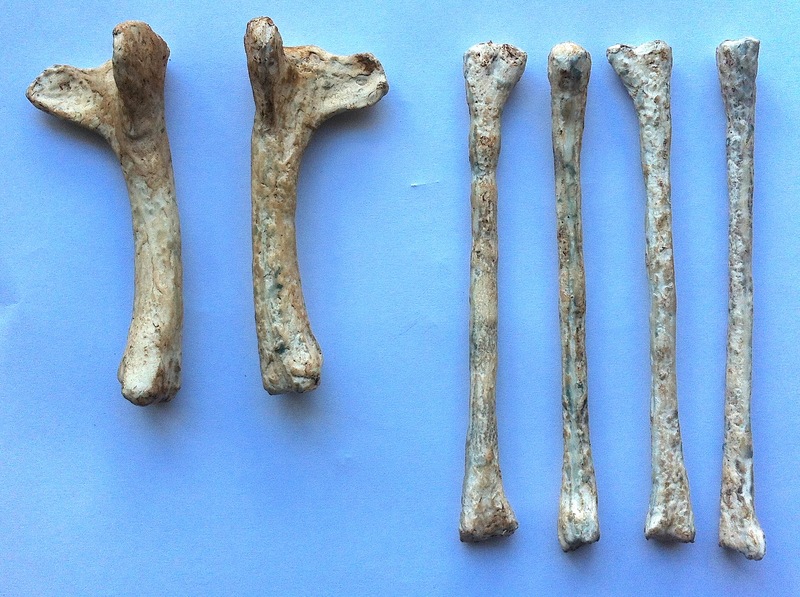 It seems they are the same size (if the scale is correct) and that they are almost the same width (some pterosaurs have a much narrower radius). I didn’t curve the radius like the picture. 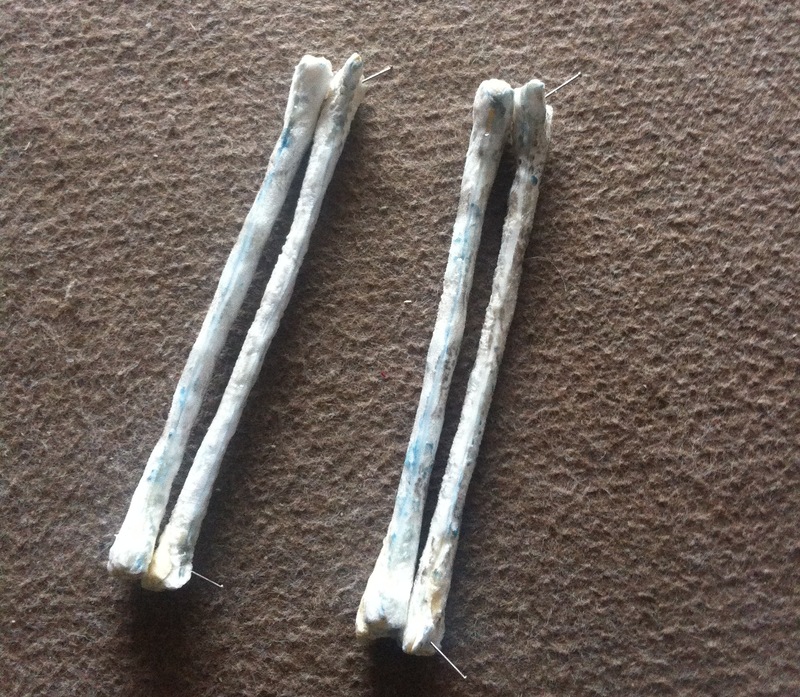 Here is a pair of ulnae before assembly. 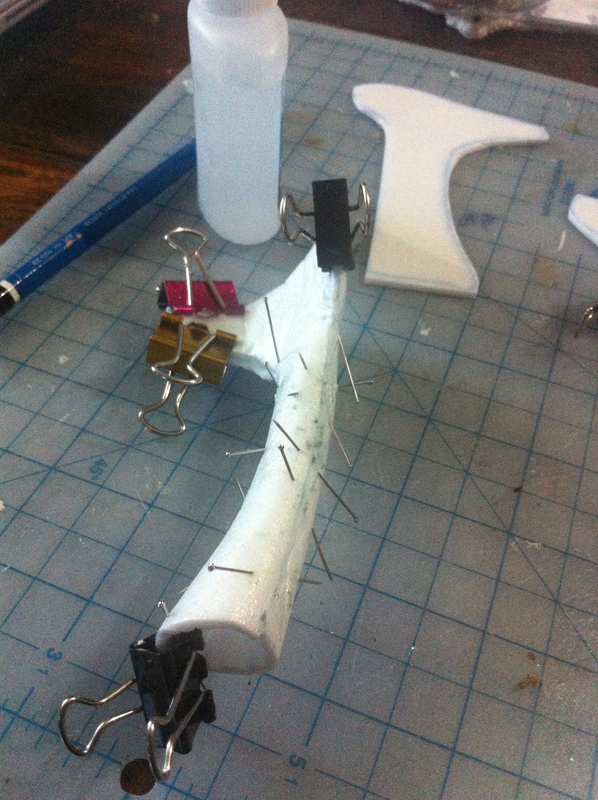 And this is after gluing the halves together and trimming with fire. 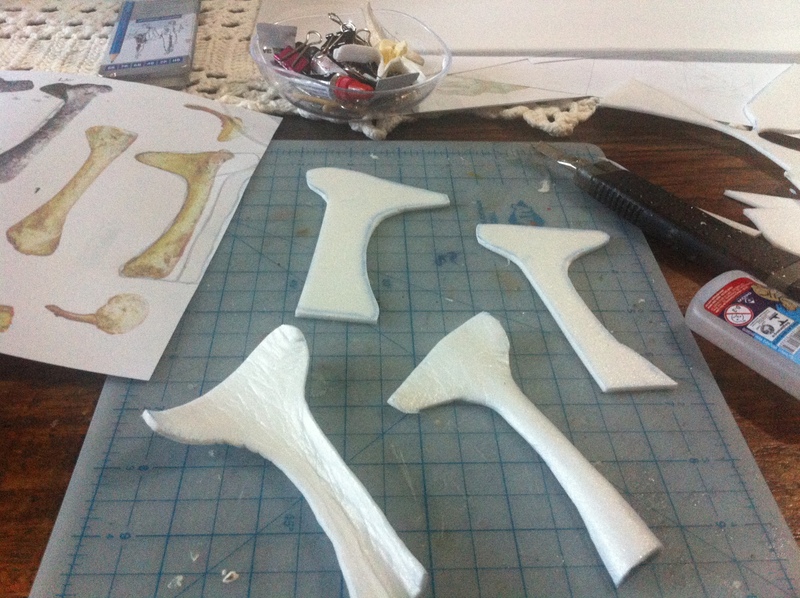 I still have to make the bone ends. 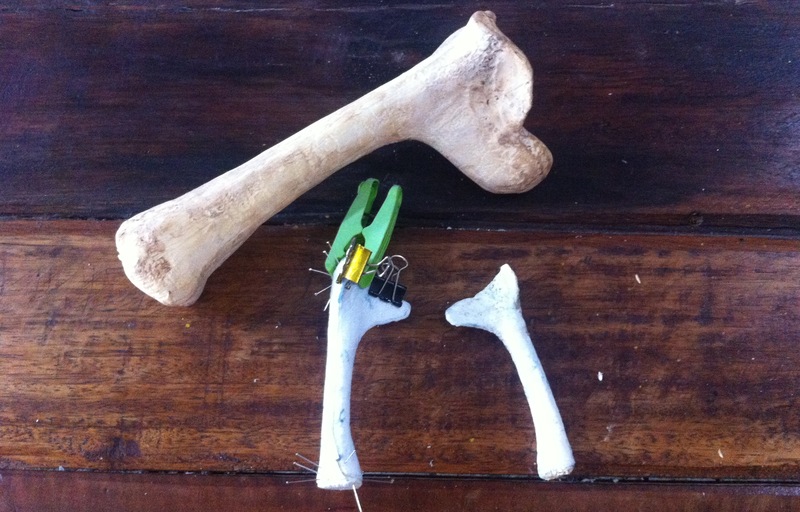 After adding the bone ends, and some trimming, I could finally try to fit them together.